An Aeromexico plane nearly landed on the wrong runway at San Francisco International Airport, and the Federal Aviation Administration is now investigating the incident, officials confirmed Wednesday. Bob Redell reports. An Aeromexico plane nearly landed on the wrong runway at San Francisco International Airport, and the Federal Aviation Administration is now investigating the incident, officials confirmed Wednesday. The incident was reported Tuesday when Aeromexico Flight 688 from Mexico City was given clearance to land on Runway 28R at SFO. "Aeromexico Flight 668 was cleared to land on Runway 28R, and correctly read back that clearance. When the plane was about a mile from the airport, air traffic controllers noticed the aircraft was lined up for Runway 28L and instructed the crew to execute a missed approach. A Virgin America jet was on Runway 28L at the time," FAA spokesman Ian Gregor said. Aviation consultant Mike McCarron viewed the flight's track approaching SFO, saying air traffic controllers noticed the jet was headed for runway 28L, where the Virgin America airliner was set to take off for Kona, Hawaii. McCarron said the jet was about 500 feet off the ground and a mile away from the other aircraft when it was diverted. "You’re looking at about 20 seconds, 15 to 20 seconds, to cover a mile," McCarron said. "So it was close, but there was more than enough time." An Aeromexico plane nearly landed on the wrong runway at San Francisco International Airport and the Federal Aviation Administration is now investigating the incident, officials confirmed Wednesday. Terry McSweeney reports. Passengers on Flight 668 shared their thoughts on the close call. "We almost landed then we had to go back up and go back around because the planes were too close," said Melanie MacDonald of San Francisco. McCarron said passengers can take comfort in the fact that the system worked. "All the backup systems kicked into place," he said. "The controllers watched, they saw he wasn’t lined up properly, they give the command to go around, he went around it and landed safely." 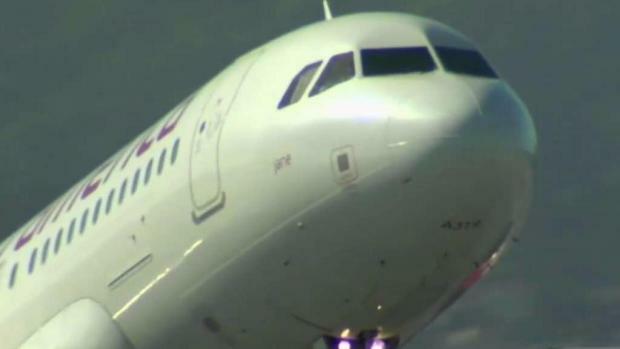 Tuesday's close call follows a pair of SFO incidents involving Air Canada flights that made headlines last year. In October, a pilot for Air Canada Flight 781, an Airbus 320, failed to respond to air traffic control's warning not to land on the runway because it was not clear whether another jet was still on that runway. 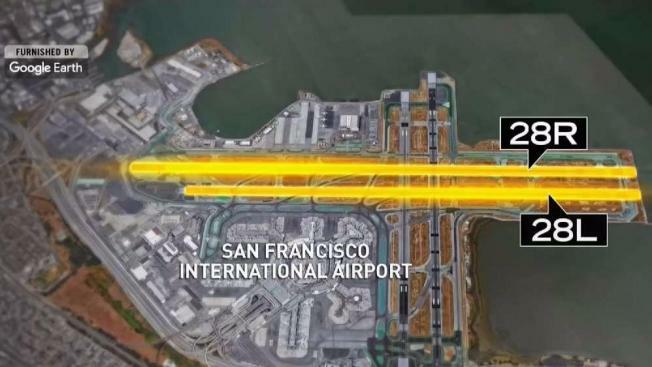 In July, the FAA said an Air Canada pilot almost landed on the taxiway instead of the runway at SFO. In response to the close call, the FAA issued new rules for nighttime landings and control-tower staffing at SFO.